This is from Patti Nash. 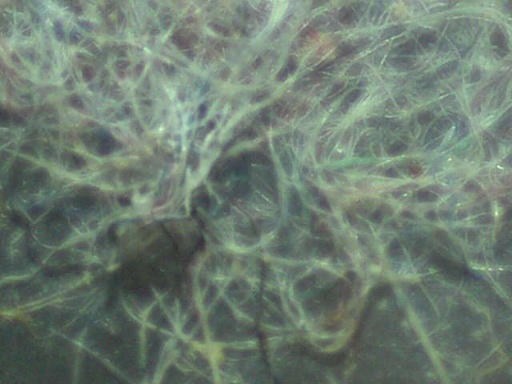 These are fibrils that have been growing on a glass dish! No visible means of sustinance whasoever.. Just growing away for some time now. Hows THAT for creepy?